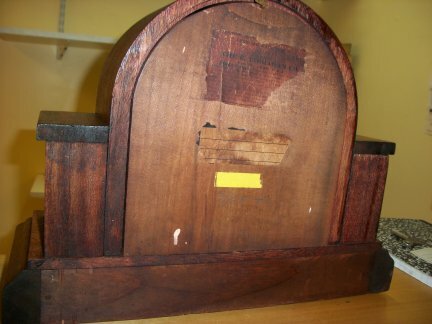 8 DAY MANTLES-1692-INGRAHAM 8 DAY TIME AND STRIKE MOVEMENT IN A WOOD CASE. 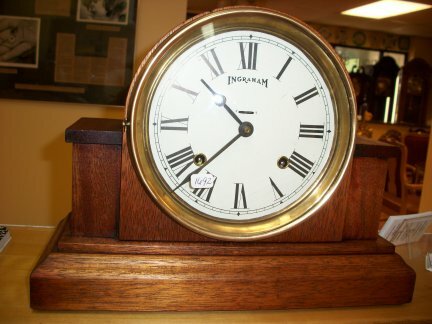 This is an 8 day mantle clock made by the Ingraham Clock Co. It has a 6.5 inch dial which makes it really easy to see across a room. 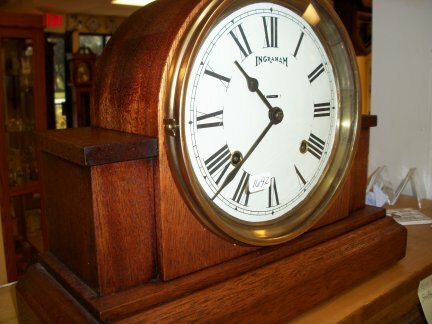 Closer view of clock from the side. It has an 8 day time and strike movement. Closer view of clock from the other side. 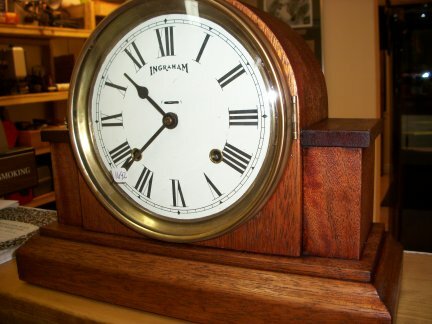 The clock is made from solid wood. 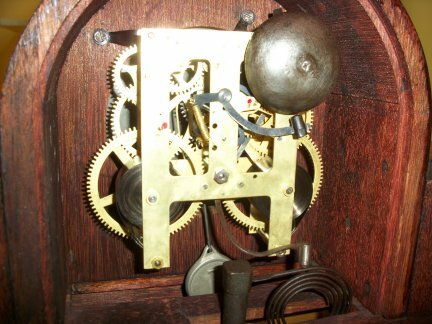 Closer view of the inside of the clock. 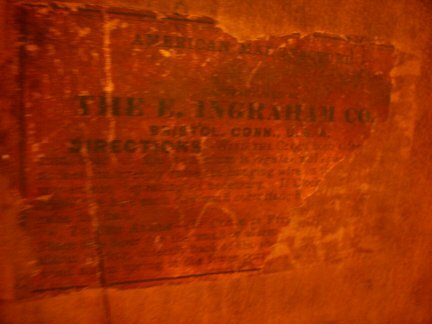 Close up of the label on the back of the clock.